A research paper on film analysis discuss the process that is used to evaluate the quality of a film. A custom written film analysis is one that follows the directions that your film professor has given you. The expert writers at Paper Masters will write on any film you need explicated and take the elements of film you see listed below and cover them thoroughly. You can order a film analsyis on any film or documentary that you need. A film analysis is a process that is used to evaluate the quality of a film. During this process the mise-en-scene, cinematography, sound, and editing are analyzed. There are several different ways to approach a film analysis so have the writers at Paper Masters help you with your analysis and provide a custom project. 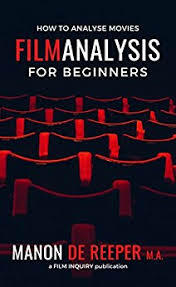 general method of film analysis, that a film analysis is not done until there is nothing else to discover, and it is important to have background knowledge on the film history in order to be able to analyze a film. According to Thomas and Vivian Sobchack, film can also be analyzed by looking at the film space, film time, and film sound. Iconic analysis looks evaluates the images or pictures to find meaning in a film. Some films use images to help build meaning. Most modern day films do not have clear pictorial elements. In this case it is important to evaluate the movement of the camera and light. Another important aspect of film analysis is semiotic analysis. This is the evaluation of symbols and their effect on the meaning of the film. These symbols could include analogies, signs, metaphors, and symbolism. Finally, shot by shot analysis is another way to evaluate films. In this type of analysis, the viewer looks at the sequence of the film in order of shots. The techniques that are used are also evaluated. This could include changes in camera angles, foreground vs. background, framing vs. raming, close-up shots, long shots, and editing strategies. Students may want to keep the following in mind when doing a film analysis. Use the list of critical elements of film, as seen below, as a guide while writing your paper. Be sure to incorporate an application of at a few approaches to analysis and interpretation. Students should select a film that they have not previously explored in class, either in written assignments or discussion posts. Be sure to establish a coherent thesis statement in the introduction of their paper with a claim that they intend to prove. The body of the essay serves to support the thesis through an analysis of the film and other relevant material. Avoid simply rehashing descriptive material from other source. If needed, you may use additional resources to support your claims. Suggested sources might include academic books and articles; film reviews; and personal opinions from reputable film critics and scholars. Information other than production details obtained from popular sources such as The Internet Movie Database and Wikipedia is not considered reputable. Only use plot information to support the thematic points of the paper. Include only one to two sentences of plot summary when explaining each of the required filmic elements. Paper Masters writes custom research papers on film analysis and discuss the process that is used to evaluate the quality of a film.